Late last year I got an email inviting me to apply for one of 30 positions as a taster for Welsh brewery Evan-Evans. The 245-year-old Carmarthenshire brewery has plans to launch a series of new cask and bottled beers, including a range of organic beers, and they want a team of people to blind taste them as part of the development of these additions to their portfolio. Apparently they thought they’d struggle to get 30 tasters but were overwhelmed by 250 applications and decided they’d make the most of this interest and increase the team to 50. I was selected to be one of them. 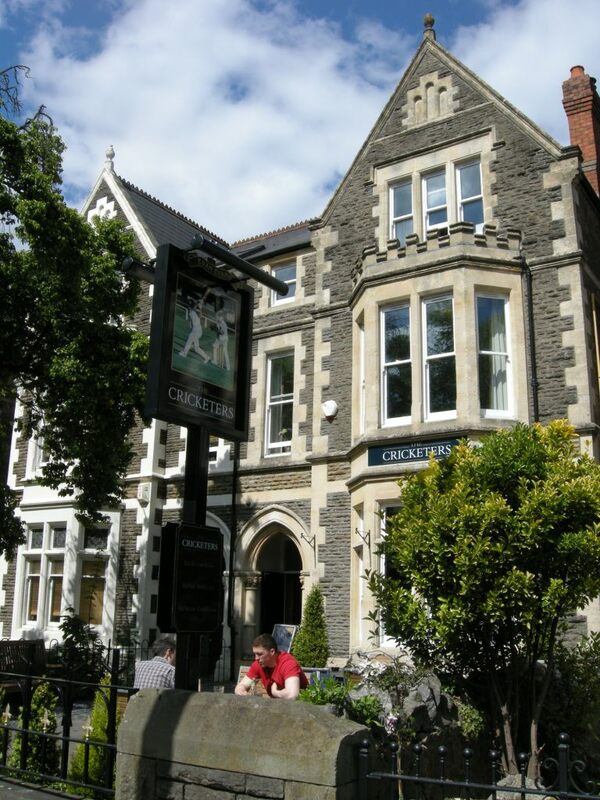 Last weekend half the team attended a training session (led by a tutor from the Beer Academy, who run a range of interesting courses two of which I attended last year) at Evan-Evans Cardiff pub The Cricketers, on Cathedral Road. If the cask ales they already brew are anything to go by (for example their 4.8% premium bitter Warrior – which has a delicate caramel-toffee flavour leading to a gentle but dry, astringent finish with a slightly chocolate aftertaste and rather belies its name; or May Fly a 4.3% tropical fruity golden summer brew) it looks like it could be quite a pleasurable job. Well, not scared exactly but when a limited edition beer arrives at my house in a splendid presentation box or a numbered bottle as well as thinking, “Wow! This looks exciting. I wonder what it tastes like.” I also can’t help thinking I should save it rather than opening it straight away. I know others have similar ‘issues’ given Andy Mogg and Mark Dredge’s Open It! weekends encouraging beer enthusiasts to drink those special beers rather than let them languish in the cupboard. Like them I think the answer to this conundrum is not to wait for a special occasion but make an occasion out of drinking the beer. I’ll report back on how I get on with this when I have my Shepherd Neame Generation Ale, a 9% “burnished gold ale [which] combines five classic roasted malts with five … varieties of Kentish hops,” and was then matured for 12 months. 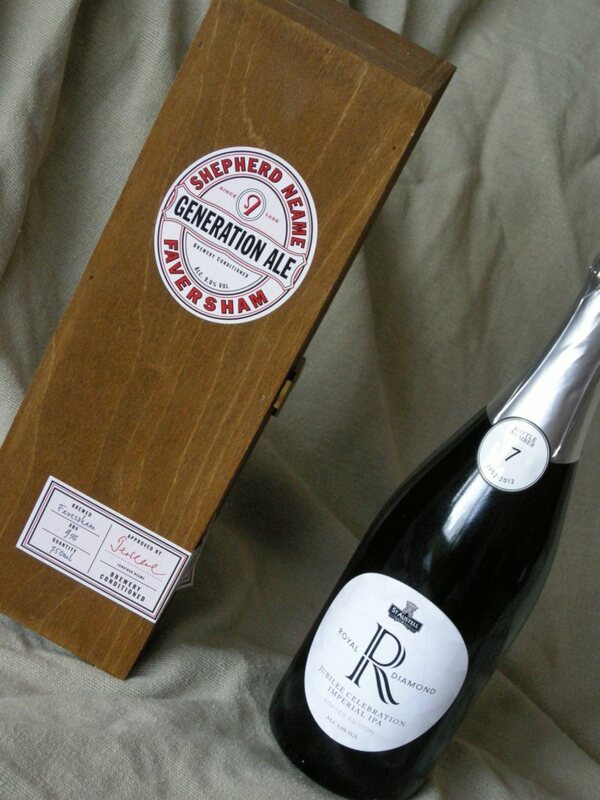 It’s been created to celebrate five generations of brewing by the Faversham-based brewery and comes in an impressive looking wooden presentation box. Priced at £17.50 for a 75cl bottle it’s exclusively available from www.shepherdneame.co.uk/shop. I’ll then have to come up with another way of creating an occasion* when I have my St Austell Brewery Royal Diamond Imperial IPA which as you might imagine has been brewed to celebrate the Queen’s Diamond Jubilee. Rather helpfully St Austell suggests it is best served chilled, in a champagne flute and would be complimented by a dish of seared scallops in butter and bacon with asparagus. Royal Diamond Imperial IPA is available from www.staustellbreweryshop.co.uk at £12 per 750ml bottle. It feels like much more than a year since I attended the first EBBC in London last May, but the second one (in Leeds this time) is now upon us! I am looking forward to sampling many new beers and learning about other interesting things, including a tasting session examining the effects of glass shape and style hosted by Spiegelau Glassworks. Other highlights will be catching up with the crew – and beers – of Williams Brothers Brewery; a tour of Magic Rock Brewery in Huddersfield and I have high hopes for the ‘keynote speech’ by Sharp’s Head Brewer Stuart Howe as I enjoyed his irreverent style at the British Guild of Beer Writers Ingredients Symposium earlier this year. I’ll endeavour to bring you some ‘live’ blog posts from the EBBC12 if I can. Bring it on (as they say). *I think I’ve given away my left wing, non-royalist leanings by it not being obvious to me to open it for the Jubilee! Previous How’s your hop knowledge?